The AMGC Grill is housed in a beautiful clubhouse overlooking scenic views of Alta Mesa Golf Club’s premiere golf course. This is a warm and casual atmosphere to bring friends and family to dine on our deliciously prepared entrees. Fun and entertaining social events throughout the year makes for a great environment to cultivate old friendships and kindle new ones. The beautiful Arizona weather beckons you to come enjoy our outdoor patio that looks out on the ninth and eighteenth greens, which are accented by two lakes. Enjoy the warmth of our fire pit as the sun sets over the mountains. 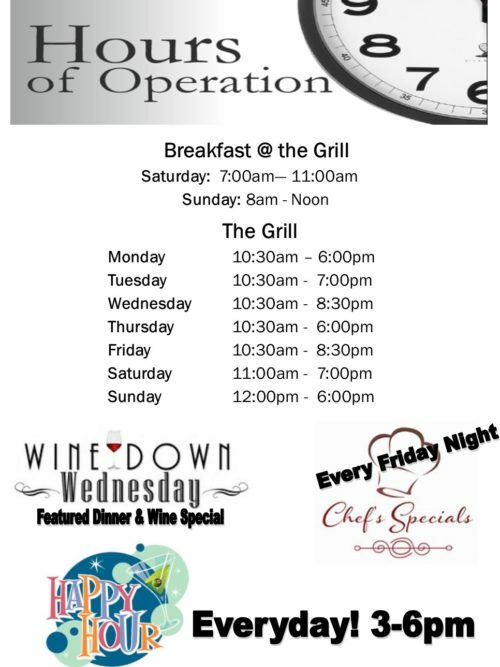 Even if you’re not a golfer, you can enjoy our bar and grill as a dining member. Whether you are planning for an anniversary, birthday, business meeting, or just a small gathering of friends, we have the perfect venue for you. No party is too small. Enjoy the success of a well-managed function without the stress of doing it yourself. We’ll take care of all your needs. Our delicious and tantalizing entrees are designed with you in mind. The beautiful panoramic golf views are breathtaking and sure to complement any event. Alta Mesa Golf Club is more than just a great place to play golf; it is also the ideal venue to host your fairy tale wedding. From the picturesque grounds to the experienced staff, we have everything you need to remove hassles and create memories that will last forever. We’ll take care of all your needs. Our delicious and tantalizing entrees are design with you in mind. The beautiful panoramic golf views are breathtaking and sure to complement any event. Please contact Ann Beljan, our General Manager, to customize your special event at ann@altamesagolf.com.